Food and drink, gymnastics and fun! It is with great excitement and enthusiasm that we ask you to support the 2018 Going for the Gold Gala to benefit the Wendy Hilliard Gymnastics Foundation on Thursday, October 11, 2018 at the National Geographic Encounter at 226 West 44th Street from 6:30 to 9:00pm. On this night, we will present Olympic Champions Nadia Comaneci & Bart Conner with the Champions Award, Vice Chairman of Millennium Management Simon M. Lorne with the Corporate Award, and USA Gymnastics Hall of Fame member Bruno Klaus with the Spirit of Sport Award. Tennis legend Billie Jean King, Good Morning America's Robin Roberts and Olympic Gymnastics Champions Gabby Douglas and Simone Biles will serve as Honorary Chairs. In addition, Maurice DuBois of CBS-2 News will serve as our Master of Ceremonies. Nadia Comaneci is the first gymnast to be awarded a perfect score of 10.0 at the Olympics. 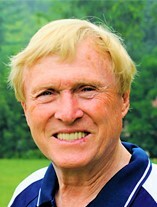 Bart Conner is a two-time Olympic gold medalist and television commentator. The two have been married since 1996. Simon M. Lorne is the Chief Legal Officer and Vice Chairman of Millennium Management LLC. Bruno Klaus is a living legend in the sport of gymnastics and runs a family-owned gymnastics camp. All have been exemplary supporters of the Wendy Hilliard Gymnastics Foundation. We look forward to seeing you! Check out some highlights from last year's Going for the Gold Gala.